Ms Mel and ODNTWant to see you as an ‘us’. Not necessarily you and I, just you and who(m)ever else is around. PlUS, USSIE sounds better than selfie. I am not sure, but if you are from Australia, perhaps it’s an AUSSIEUSSIE. In any case, snap and post and link and be adored by US! 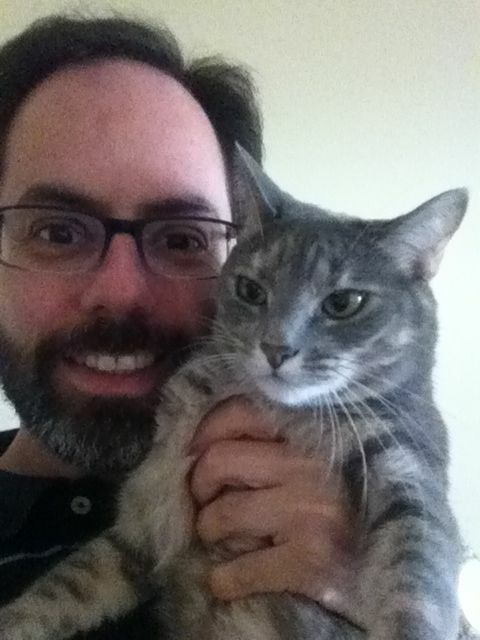 Right off the bat, I thought, I can’t have an ussie without GUSSIE! I should point out, 1. though it appears that way, she did not take the photo.2. though it appears that way, I am not gripping her like a vise. Next, why not take advantage of dinner with a fellow blogger whom you all know and adore. 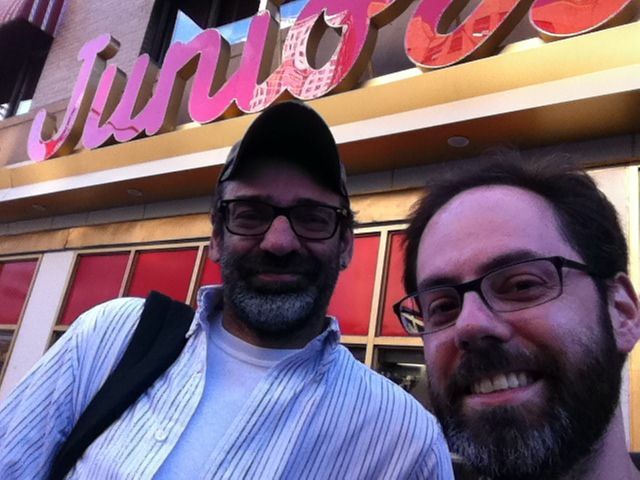 I met Mr G. and his TMWGITU for dinner at Junior’s in Brooklyn (the only location I truly acknowledge as existing) since it is doomed to be shut down and later re-inserted (?!) into the overpriced condos that will sully the spirit and memory of yet another NYC landmark. We enjoyed both experiences. Finally, since I am a Jr., a Three-Pete for you! 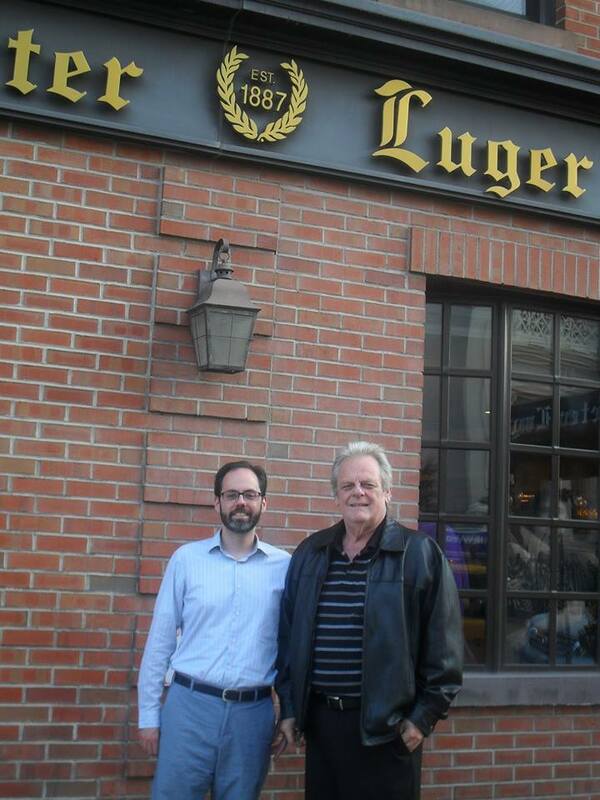 MaT and I took my dad (BT Sr) out to Peter Luger (also in Brooklyn) for his 65th birthday last week. Ok, while not an US-SIE (and done in portrait, not landscape), it was a punny thing.